Spanish playwright Víctor Sánchez Rodríguez is making his UK debut this January and February with Cuzco, a two-person play centred on a Spanish couple’s holiday along the Inca Trail. 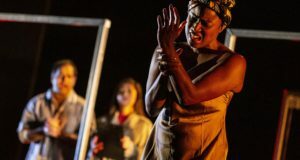 London audiences will get to experience Rodríguez’s work in English at Theatre503 – but transporting the play from Spain to Battersea has presented its own unique challenges. 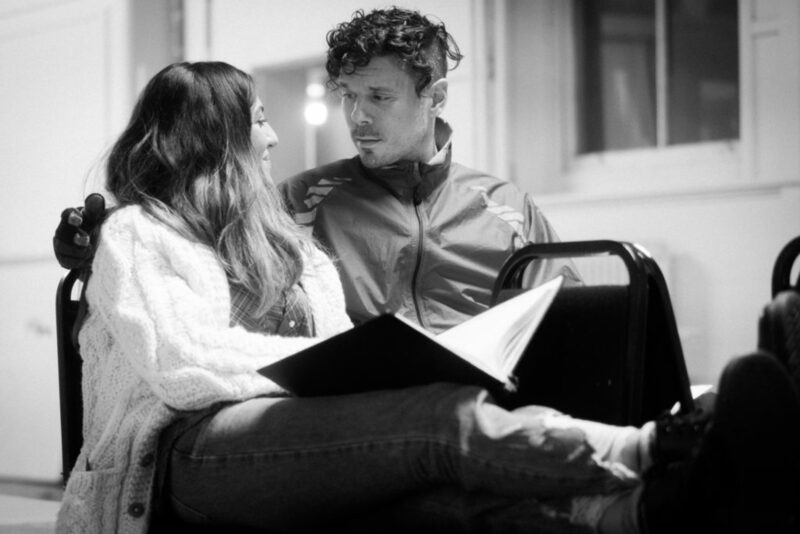 In this guest blog, Cuzco translator William Gregory shares how presenting foreign plays can be a ‘difficult balancing act’ between representing the country of origin and adapting it for a UK crowd. In Cuzco, one half of a Spanish couple on a relationship-salving journey to Machu Picchu has a revelation. A few days into their trip, She (played by Dilek Rose opposite Gareth Kieran Jones) wanders into the ancient Inca capital. She expects a feeling of strangeness and adventure, but finds herself in uncannily familiar surroundings. ‘I felt at home’, she says. ‘Hearing the passers-by speaking Spanish, I felt at home like in a square in Spain.’ Desperate for a fresh start, they have travelled 13,000 kilometres, hoping to escape their usual environment and perhaps even their familiar selves, only to find that even here, there is much that is recognisable, and they are still the same two people. When a play is a translation, the idea of strangeness can be both attractive and disconcerting. 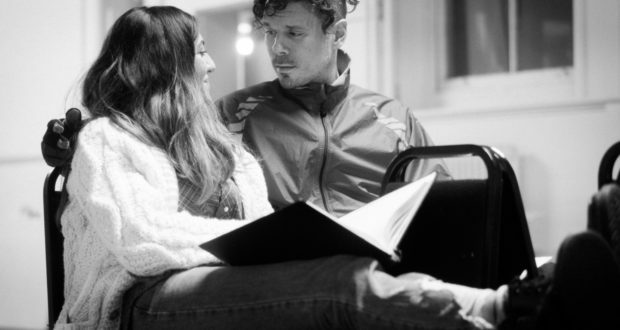 Aside from the classics such as Ibsen, Chekhov or the Greeks, plays that were not originally written in English can struggle to find a home on the UK stage. Because “international” plays are rarely produced here, it is hard for an overseas playwright to build enough of a reputation in the Anglosphere for producers to take an interest. This, in turn, can stem from a belief that audiences will be resistant to booking for a show by a foreign writer. There was some truth to this once: The late, great Elyse Dodgson, tireless director of the Royal Court’s international department for many years, recalled filling seats for international plays in 1997 by poaching audience members from the returns queues at the Duke of York’s with free tickets! Things have moved on since then; despite the still low percentage of translated plays produced here, there are a range of productions for those who wish to seek them out, from the fringe all the way to the West End. Increasingly, too, the translators who translate them are also getting their due recognition. Yet, curiously, a translated play, once programmed, can find itself faced with another challenge: not rejection from a dubious audience, but an expectation of “foreignness”. This can be part of a play’s appeal, but playing it up can risk a disservice to the writer, suddenly overloading them with a kind of responsibility to represent an entire nation, language or culture. It’s a difficult balancing act for those of us working in translated theatre: we want the fact that this play has come from elsewhere to be a positive reason for audiences to come and see it, and it’s true that a play from say, Spain, does give us a window onto a world other than our own. But we also need to remember that one window cannot give a view of an entire world. A Spanish play’s “Spanishness” is not the most important thing about it. If we try too hard to make that Spanish play “feel” Spanish, we risk clothing it in cultural generalisations. But nor do we want to deny its origins, brush over difference or, to quote Young Vic artistic director Kwame Kwei-Armah, ‘English it up so we think it’s from Wolverhampton’. Working on Cuzco with director Kate O’Connor, the cast, the design team (Stephanie Williams, Max Pappenheim and Jai Morjaria) and crucially the writer, we have tried to walk this line as best we can. The Spanishness of the characters is clear from the first few lines; those hoping for a Spanish “feel” will have moments to satisfy them as the show progresses, and it helps that the play has the complexities of being a Spanish tourist in South America as a theme. To help the actors locate themselves, rehearsals have involved research not only about the Inca Trail but also about Spain, its history, and how living there might feel different to living in the UK. Víctor has also been on hand to clarify any doubts about specifics. But at the same time, we cannot deny we’re in London. A creative team has come together in this city, at this venue, at this time. We’re not trying to replicate what might happen if the play were being produced in Spain. Rather, we are taking a story we love and telling it to people geographically close to us in a way that we hope will speak to them. As a result, it may well be that the audiences at Theatre503 have a similar experience to our Spanish travellers. Expecting to be immersed into a world that is distant and strange, the strangeness might not be the kind they expect. In fact, some things may be uncomfortably familiar. Cuzco is currently playing at Theatre503 through 16 February.